Tagged under Suzuka Oda, Bee Train, Light Novel, Series. Yakumo isn't a great horror, supernatural series, or for that matter a great series period. Thirteen episodes do seem long enough to cover Yakumo's painful past, the plot was decent but it was poorly executed. This mechanical rendition of a supernatural mystery moves listlessly from one scene to the next, the producers clearly bored out of their minds because they know that you know what's coming. If the production staff didn't bother to put much effort in it, then it shouldn't bother you to watch it. If you like to flex your sleuthing muscles and to see a similar concept in a much better rendition, you may want to give Ghost Hunt or even Madhouse's superior Death Note and Monster a whirl instead. Suspense is a delicate thing. I'm watching this right now and, although the anime changes a lot of things from the manga, I'm really enjoying it. The art in the animated version is nowhere close to Suzuka Oda's wonderful work, but at least we got a pretty amazing seiyuu to voice Yakumo: Daisuke Ono. I'd recommend more to read the manga first and then watch the anime so you can really appreciate the differences between both. Interesting story and proposal, I mean, the secondary characters attract almost my full attention (specially Gotou-san, Ishiin-san and Nao-chan <3). But I do think that it's kinda rush, so the main characters and the main plot (the relationship between Yakumo, his father and Haruka) are pretty feable because there's barely no time to settle them. 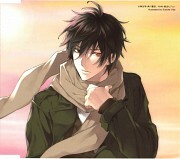 From time to time, Yakumo reminded me of Constantine, but with a blurry personality and background. It's a good series, no doubt, but it lacks of important elements (for my personal taste) for it to be excellent. Anime "Psychic Detective Yakumo" is terrific. 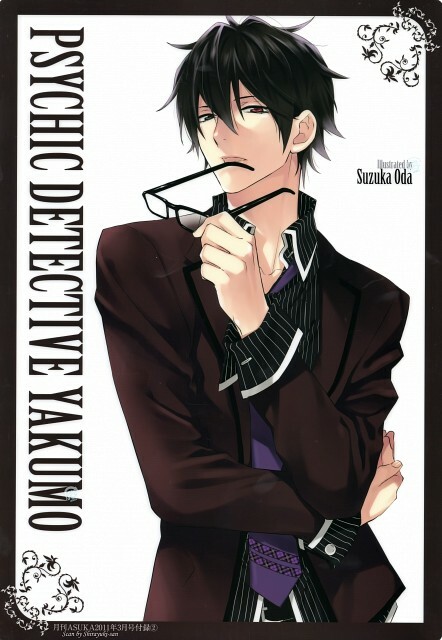 Manga "Psychic Detective Yakumo" is better than Anime. Novel "Psychic Detective Yakumo" (original) is better than Manga. The love story between Yakumo and Haruka was a bit dull, but in the end it was shown really well. What I did not expect was the death of a certain person [will not mention as it is a major spoiler]. Not a rare anime about a person seeing a ghosts, but a certain doctor is a exception. During one of the episodes, it was twisted really well, that you would not think she was the culprit. A well written anime if I say so myself, I was just a bit disappointed on how Haruka's character just hid behind Yakumo for the duration of the anime. During the end, I was really satisfied on how Yakumo accepted himself. Overall a great anime and is a must watched. story unfolded nicely. rather touching in the end. appreciated production team effort converting a short manga into one season in length anime. well done. seiyuu performance better than initial thought. would like to see more depth and development in characters though since this anime isn't really focusing on solving crime nor was it about psychic power. really really good story.. yakumo is so cool with his red eye.. when i happen to know someone like him, i would surely fall for him..kyaaa. anyways, with yakumo's ability, he is great! and the girl (i forgot her name), she's perfect for him.. It is not so rare anime to be about ghost, and special guy who can see them, but ultimately Yakumo is interesting character and the plot surpirises you and keeps entrertained. Yakumo remind me of two other awesome characters: Raito as well as Lelouch, he wasn't really like any of them but had something from both of them. 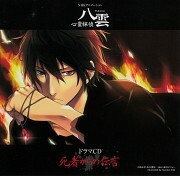 Yakumo can see ghosts and here begins his strory, as he talks to ghost and solves mysteries behind murder cases or try to free people from cluthes of ghosts. No feedback on Psychic Detective Yakumo.